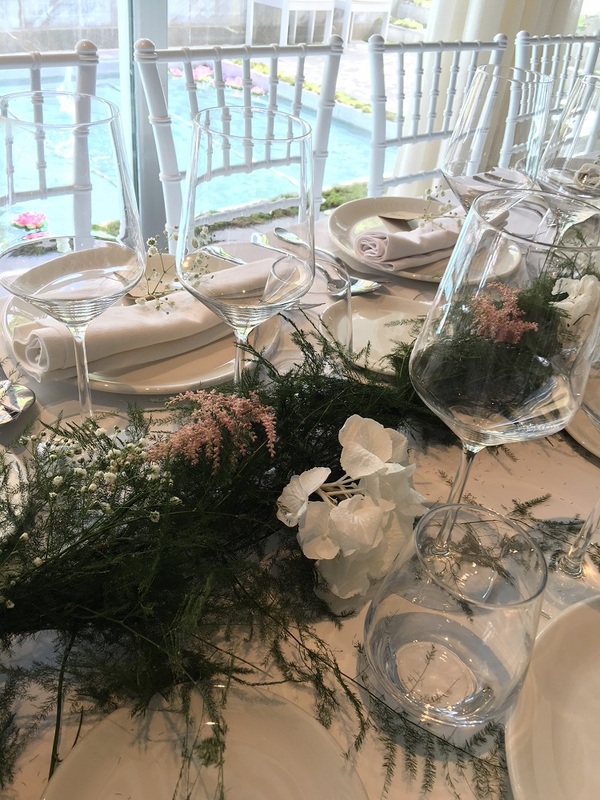 In Hospes Hotels we have 9 wonderful hotels in Spain where we have everything you need to celebrate your wedding with us. From a building of the 20th century with sea views to a Sevillian house from the 17th century. All our hotels have their own history that will make the most special day is made in a unique setting, with quality service and cuisine. In the historic center of the city of Alicante with 8 private rooms and terrace. We have a capacity of up to 120 people. The former summer residence of the Golfín family, a building that has a natural environment surrounded by hundreds of ancient olive trees and crowned by 81 stork nests. The Hospes Palacio de Arenales & Spa is characterized by celebrating unique and charming weddings. We have 2 rooms with a capacity of up to 350 people with natural light as well as an outdoor tent. The Palacio del Bailío was cataloged as the first five-star hotel in the city, located in the historic heart of the city of Caliphate and declared an Asset of Cultural Interest in the Monument category in 1982. It has a Roman Patio with a capacity of up to 140 people . In addition to a room located on top of ruins of Domus Romana of the 1st century. It is an old palace located in a central and commercial block, one of the main arteries of the city. The Palace of the Ducks is ideal to celebrate your wedding day, the maximum capacity in the interior sitting is 70 people in the same room. In addition, two rooms can be used for a maximum of 130 people. We have a Garden where you can do events of the same capacity as in the interior, maximum 130 people. This hotel is located in front of the prestigious Puerta de Alcalá, in the heart of Madrid, characterized by being a regal estate of the late nineteenth century. In addition, it has 4 lounges and a chill-out terrace to celebrate your wedding in a unique setting. Mallorca is poetry, and Maricel is one of the most emblematic and prestigious hotels on the island. Unique building from the twentieth century, with beautiful views of the sea. It has unique spaces with capacity for 200 people. Hospes Palacio de San Esteban Hotel is located in the heart of Salamanca. Heritage city and destination that combines tradition, history, magic and modernity. The building was El Convento de San Esteban. It has 7 rooms with a maximum capacity of 120 people and 523 square meters. Typical Sevillian house from the 18th century, just 10 minutes from the city center. Counts are lounges and a patio where you can make your weddings in a unique space. It has a maximum capacity of 80 people in cocktail and 47 seated. 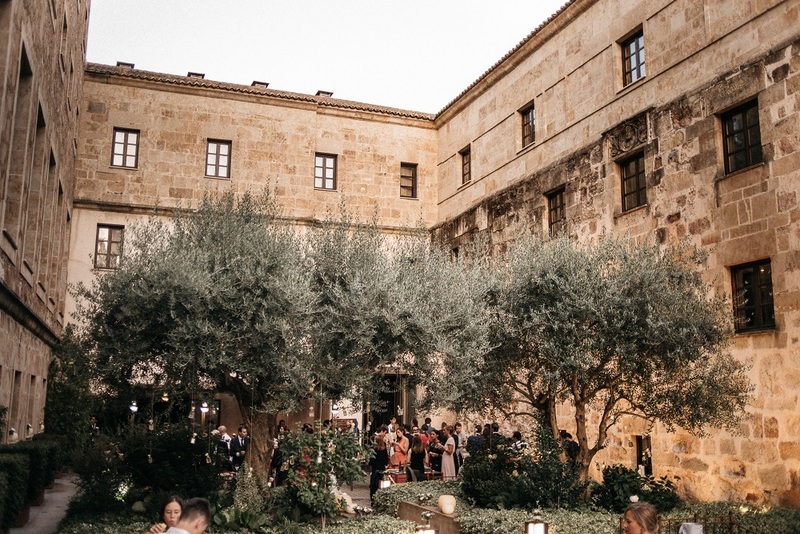 It is possible to combine reception + Gala menus between courtyards and restaurant. In addition, we have a menu of added values to complement the menus: Ham cut, open bar, music for entertainment, cheese station, gic tonics station and much more. The Hospes Palau de la Mar is a palace listed as a large Manor House of the nineteenth century. It offers several spaces with capacity up to 100 people. You can always contact our team, where we will be happy to help you and schedule an appointment.